From a vast and mysterious opera rehearsal stage (Gustav Mahler's "home away from home" for much of his life), San Francisco Symphony Music Director Michael Tilson Thomas (MTT) introduces us to the compelling life and music of Gustav Mahler. For Mahler, and for us the audience, his creativity was "a voyage of self-discovery." Happy, sad, frightening, grotesque – no matter what, MTT suggests, Mahler's life events provided the essential raw material with which he created his unique universe. Mahler was born in 1860 to a Jewish tavern-keeper and his ill-matched wife. He grew up in the small provincial city of Iglau (present-day Jihlava), midway between Vienna and Prague, in the heart of what was then the Austro-Hungarian Empire. MTT roams the city, finding clues to the sounds which shaped Mahler's imagination: the marching military bands of this garrison town, the rituals of the Synagogue, the bells and choirs of the churches, the drunken roistering in his father's tavern, the passing street musicians. The subtlest sound of all was "Naturlaut" (the sound of nature itself), which Mahler sought whenever he escaped the city for a few brief hours. He opens his First Symphony with his version of this sound – a soft, haunting and long-held sound effect from the violins – "a vast sonic horizon", as MTT calls it, which gives a hint of the cosmic scale of the Mahler symphonies to come. There is a strand of happiness in Mahler's music. His youthful creativity produced the much-loved "Songs of a Wayfarer" in 1883. This refreshing, tuneful songbook (excerpts sung here by Thomas Hampson) first stated musical themes he would insert in the First Symphony and re-use for the rest of his life. Its title gives a hint of how Mahler saw himself, too: the restless, sensitive searcher – "part poet, part journeyman and wandering Jew". But, as MTT explains, there were darker strands in Mahler's personality. The First Symphony suggests nightmarish scenes and parental confrontations from his childhood. Already, the theme of death looms large: Mahler lost many of his siblings, and both his parents died before he turned 30. The film intercuts orchestral performance with dark images from period folk tales and the Austro-Hungarian preoccupation with war. 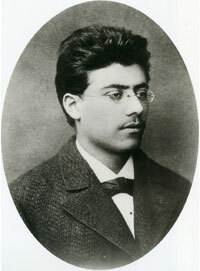 In 1875, at the age of 15, Mahler had won a place at the Vienna Conservatory of Music and entered a different universe. The film follows his subsequent career, as he started to climb the ladder of success. Summer jobs in backwater spa-town operas were followed by more prestigious appointments throughout the Empire, until in 1888 he was appointed director of the second most important Opera House in Austro-Hungary: Budapest. In his briefcase, however, was a work more radical than any he was asked to direct in the Opera House: his own First Symphony. He paid for a local hall to get it performed, and it stunned and shocked the audience. Its shattering climax brings all the strands of early Mahler together: the beauty, the conflict, the irony, the dark memories – even a direct quote from Handel's Hallelujah Chorus. What lay ahead for the young maestro?